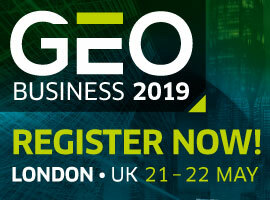 GEO Business – the UK’s largest geospatial exhibition and conference, is well on track for another record-breaking show when it returns to the Business Design Centre, in London, on 21-22 May 2019. The vast majority of exhibitors rebooked their stands within 2 weeks of the launch date, and now the GEO Business team welcomes new exhibitors to join the ranks at the largest and most successful geospatial event in the UK. GEO Business 2018 will be remembered as the show that broke records. Not only did the event sell more exhibition space than ever before (17% increase on the previous year) but they welcomed more visitors through the doors than previous years too. An incredible 2602 attendees from 59 countries went along to discover for themselves the vast range of technologies and services now available to them via several different platforms including: the 200+ strong exhibition; 94 hands on-workshops; 19 seminar sessions featuring 68 cutting edge presentations; the strategic conference and even the popular and renowned social events were a hot spot for innovative geospatial discussions. Buoyed on by their excellent experience at the show, a staggering 70% of exhibitors eagerly rebooked their stands straight away securing not only the hottest locations but also a complimentary 30 minute exhibitor presentation spot too, a fantastic benefit of the exhibitor package. This is an unprecedented rate of sales for a show that only closed its doors three short months ago. Organisers, Diversified Communications UK, are urging new suppliers looking to reach this important market to book early to ensure their place. “We could not be more delighted with how GEO Business has developed these past few years. The 2018 outing packed an almighty punch; everywhere you looked the aisles were filled with quality buyers, the introduction of the seminar programme provided an extra depth to the content on offer and there was an incredible buzz in the exhibition hall across the two days. The success of the 2018 show is reflected in the high demand for space at our 2019 show, we are predicting another sell out event.” says show director Caroline Hobden. “Since we launched the 2019 sales, new requests have been flooding in. 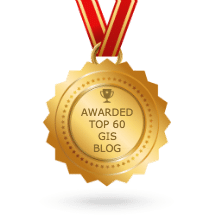 It really does demonstrate just how important and essential GEO Business has become to the industry it serves.” she says. 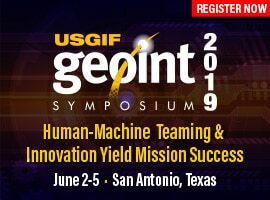 Confirmed exhibitors for 2019 already include Topcon, Trimble, Leica Geosystems, Ordnance Survey, GAP Group, Bridgeway Consulting, GeoSLAM, SCISYS, ATMOS and many, many more. “Having attended as a delegate for several years 2018 was our first time exhibiting. The turnout at the show, especially on our stand combined with our well-attended workshop made exhibiting at 2019 an easy decision.” says Chris Almond, Business Development Manager at Bibby Hydromap. Barry Gleeson, BIM Programme Manager at Network Rail who visited GEO Business earlier this year commented “Excellent event and an essential part of the annual update on what the industry has to offer, and where the future opportunities and challenges lie. You shouldn't miss this if you or your organisation wants to keep growing it's knowledge and network”. GEO Business will return to the Business Design Centre, in Islington, London, on 21-22 May 2019. 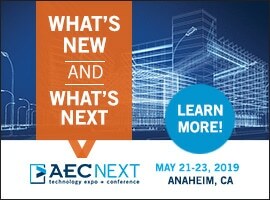 The 2019 event will be using the same winning formula designed to maximise face-to-face interaction between exhibitors and customers: a two-day international exhibition of the latest technology and services; a programme of exhibitor presentations, cutting-edge seminar sessions, a strategic conference, and finally, visitors can also look forward to a full line-up of enjoyable social events for informal networking.